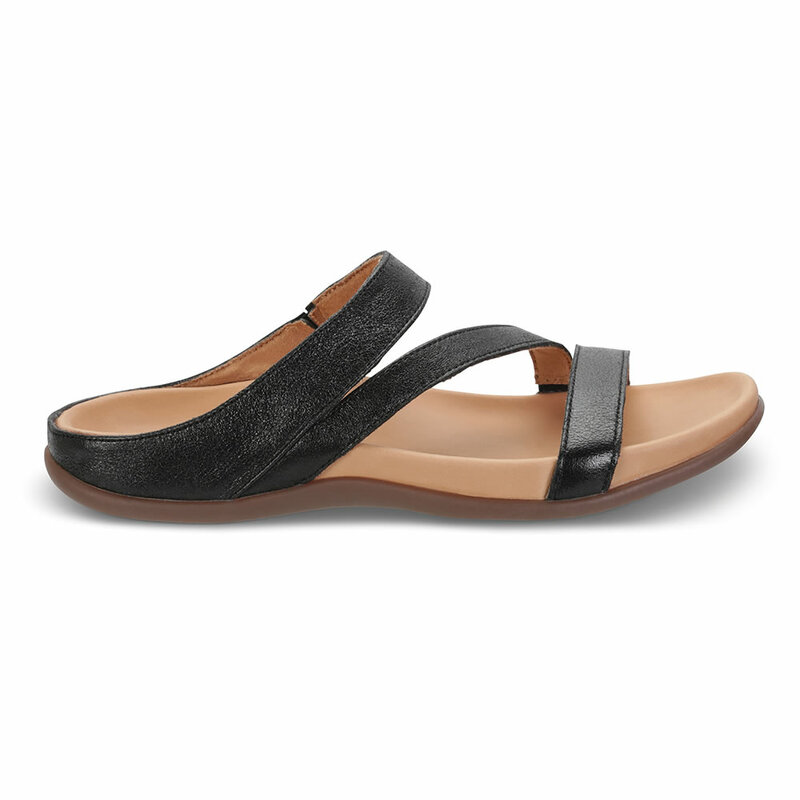 These are the lady’s cross strap sandals with a biomechanical footbed precisely crafted to help provide relief from back pain. 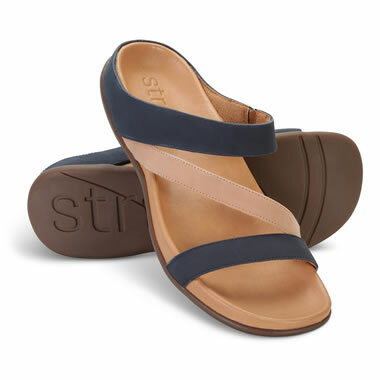 With a natural leather cover, the contoured footbed supports the natural shape of the foot and provides gentle correction during daily activities, while helping to improve posture and control pronation. Muscle fatigue can be reduced, while benefiting balance and body alignment. 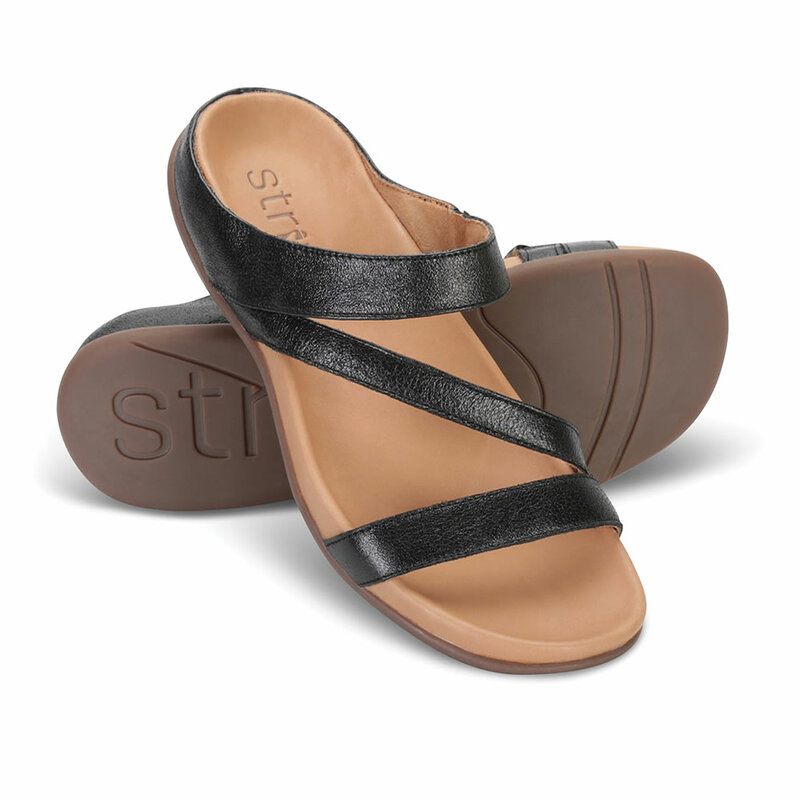 Backed by comfortable microfiber, elastic mid-strap provides a secure fit. Leather uppers. Navy or Black. Imported. Women’s whole sizes 6-10. 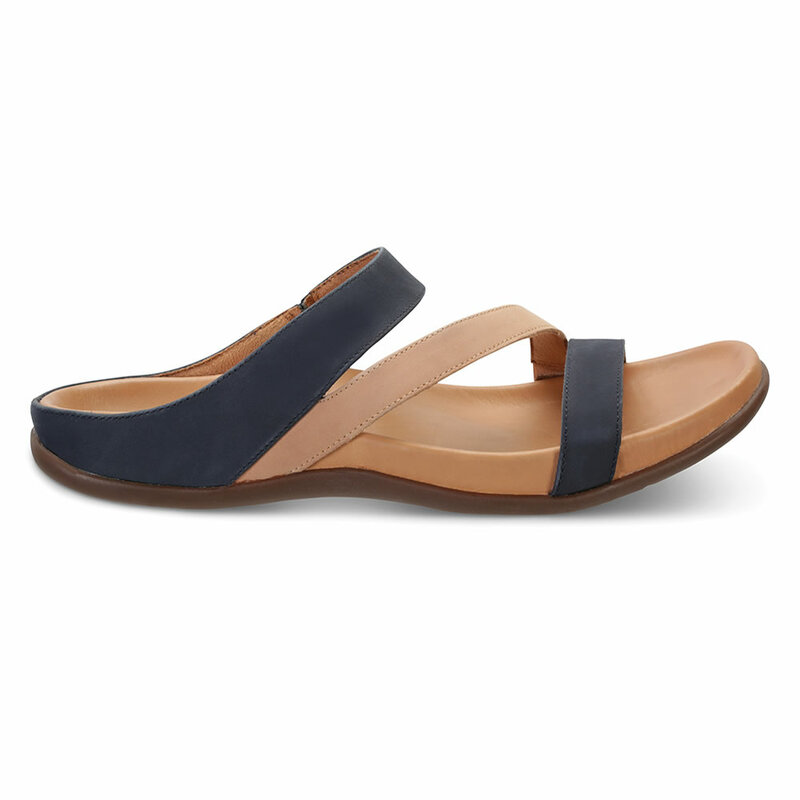 The Lady's Back Pain Relieving Slide Sandals come with The Hammacher Schlemmer Lifetime Guarantee. Items that we sell are guaranteed for their normal life under standard non-commercial use.